New drivers will have to display a special ‘N’ plate – indicating they are novices – for two years after they get a licence, under changes to the law announced today. 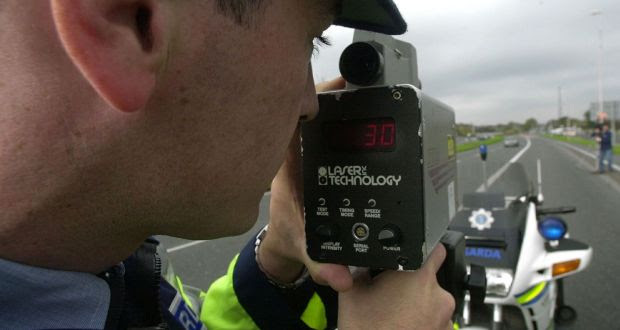 Minister for Transport Paschal Donohoe also announced increases in the number of penalty points attaching to certain motoring offences, including an increase to three points from two for speeding. The changes, under the Road Traffic Act 2014, take effect from this Friday, August 1st. “From Friday, penalty points for speeding, holding a mobile phone while driving and not wearing a seat belt or not using child restraints will increase from two points to three, provided the fixed charge is paid within the stipulated period,” Mr Donohoe said. For those who do not pay the fixed charge and are subsequently convicted in Court, the points will increase from four to five. The Minister said the increases he had signed into effect would impact on a number of areas which were “very serious” and which could have fatal consequences. “The job of making our roads safer involves a wide range of measures, and the penalty points system has proven to be an important component in this process. He said the measures would help to reinforce that change. The new category of ‘novice’ driver also comes into effect on Friday. Those who receive a first full licence from that date will be considered as novice drivers for their first two years. They will be required to display an N-plate during that time. “Under the terms of the Act, Novices will face disqualification from driving for six months if they reach seven penalty points, as opposed to the current 12,” the Minister said. The seven-point limit will also apply to people who get their first learner permit on or after August 1st. A person who is already a learner will remain on the 12-point limit while they are a learner and when they become a novice. A person already in their first two years of a full licence before this Friday will not be required to display an N-plate and will not be subject to the seven-point limit. Novice drivers, like learners, will be subject to lower alcohol limits and they may not act as accompanying drivers for learners while they are novice drivers. Mr Donohoe said these were important road safety measures that formed part of the Graduated Driver Licensing (GDL) system. He urged road users to exercise greater care on the roads. “These new measures will put road safety at the top of people’s minds and, I hope, bring about a greater culture of compliance with our life saving rules of the roads. A total of 19 people died on the State’s roads in August last year, according to official Garda figures. This compared to 12 in August 2012. Last year saw a 17 per cent increase in road deaths to 190, after a steady decline from 279 deaths in 2008. France has said it is better than Britain because the NHS is “ailing” and its health service, roads, rail and tax system are all superior. In a riposte to criticism from British commentators, the French Embassy in London has drawn up a list of 10 reasons why it is not a “failed socialist experiment” which is at risk of “turning into a tragedy”. In highly undiplomatic language, the embassy dismissed claims that its government oversees “absurd levels of inefficient public spending”. It compares France’s health service, which it claims is the best in the world, to the “ailing” NHS which has suffered from years of underinvestment. It says: “France’s public spending is based on a different tradition of public services. Take health as an example. “Years of underinvestment forced the Blair government to allocate large sums of money to the NHS, and the current government has had to ring-fence funding for this ailing institution. The embassy goes on to criticise Britain’s infrastructure. “Similar success exists in infrastructure, from high-speed rail to energy,” it says. Dominic Raab, a Conservative MP, said: “The histrionic reaction of the French Ambassador only magnifies the increasing sense of Gallic insecurity commentators talk about. François Hollande, the French President, last moth approved a 75 per cent tax rate for the highest earners, despite criticism that it would lead to an exodus of successful businessmen and women. However, the embassy claims that the French tax system is “fundamentally more redistributive” than Britain’s. The City A.M. column also suggests that France has a “generalised hatred of commerce”. In response, the embassy says that the strong trade relationship between Britain and France means that Anglo-French relations are “unaffected by any generalised hatred”. The embassy says the criticism “misreads both the actual situation in France – which remains the world’s fifth biggest economy and number two in Europe – and the seriousness with which the French government has set about reforming the country”. Public Transport Minister, Alan Kelly, has welcomed the passing of new regulations by the board of the National Transport Authority that will allow the introduction of the ‘Local Area Hackney License’ or ‘Rural Hackney’ license. The license, which is designed to facilitate low-cost entry into the taxi sector for isolated rural areas, is being introduced on a pilot basis and applications can now be made to the National Transport Authority. These regulations allow the National Transport Authority to grant hackney licenses for isolated rural areas at a low cost of approximately €50 in the case of the vehicle license. Currently hackney license are only being issued to vehicles that are wheelchair accessible which can bring the cost of providing such a service to in excess of €30,000 and would not be viable. Welcoming the move, Minister Kelly, said it was crucial to come up with creative solutions to improve transport connections in rural areas. “Access to transport is a major problem in rural Ireland and we needed to think creatively about how to solve it. We are all only too well area aware of many isolated people in rural communities that are unable to access their local services. The taxi regulation system has not been designed for isolated areas of rural Ireland and this is a way it may do so,” said the Minister. The recommendation for a low-cost hackney license for rural areas came from the Government’s taxi regulation review, chaired by Minister Kelly. The National Transport Authority will now establish an application process as part of the granting of these licenses following the public consultation.